The Michigan Economic Development Corporation recently announced a new crowdfunding initiative which allows local communities and non-profits to access state funding for public space projects. The program – Public Spaces and Community Places, was developed in conjunction with the Michigan Municipal League and Patronicity, a locally-focused online platform for crowdfunding. Communities can apply to get a matching grant of 100%, up to $100,000, for projects such as parks, a public plaza, alley reconstruction, trails, streetscape, etc. The grant is awarded if the community is able to raise the amount needed through a reward-based crowdfunding campaign on Patronicity. Reward-based crowdfunding means these are donations from individuals who support the project and are willing to personally contribute to see it succeed. Applications are rolling but the individual crowdfunding campaigns run only between 30-60 days. Click here to review program details and project eligibility criteria. Click here for a MEDC Facade Grant fact sheet. 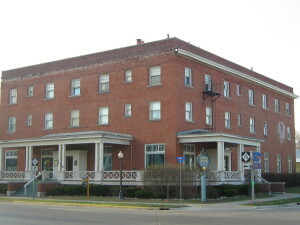 Boyne City’s Wolverine Dilworth Hotel is a prime example of a “Signature Building”. Recognizing the importance of strengthening our downtowns and preserving our past, the Michigan Economic Development Corp. offers Community Development Block Grants (CDBG) to help communities preserve and redevelop historic signature buildings in the downtown. 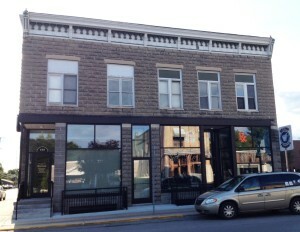 The idea is to help the municipality acquire an obsolete or blighted building and make it available for redevelopment. 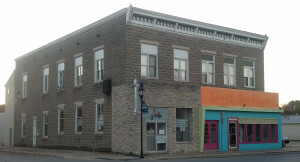 Used throughout the state, signature buildings have been converted to apartments, retail stores and offices, often mixed use, and at the same time, attracting people to the downtown. For more information about MEDC Signature Building Acquistion Grants, click here. 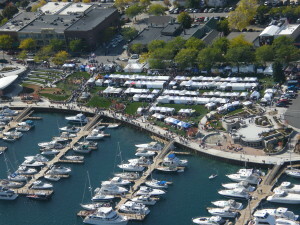 Charlevoix’s $13.1M East Park was funded with grants, contributions, and DDA TIF Capture. Downtown Development Authorities (DDAs) are a catalyst for developing a downtown. They are created to promote economic growth and revitalization, and to encourage historic preservation within a central business district. The DDA typically seeks to reverse historical population, jobs and business loss trends, and to improve the quality of life in the downtown area. DDAs provide for a variety of funding sources including tax increment financing to fund public improvements in a designated downtown district, and to levy millage to address administrative expenses. 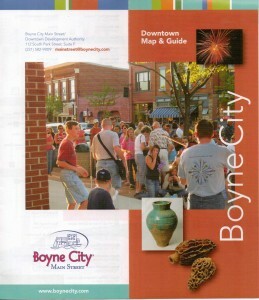 Boyne City Main Street Program. The Main Street Program recognizes that the downtown business district of a community has traditionally been its heart, and the health of a community is dependent upon the vitality of this core district. The Main Street Program is a four-point approach to economic revitalization and historic preservation for traditional downtowns. Created by the National Trust for Historic Preservation, the program is designed to guide communities in a grassroots effort to reinvigorate historic downtowns. Driven by volunteer efforts, the program can create an atmosphere of vitality and energy in downtowns, which can lead to real and lasting change. Currently, Michigan has 16 communities at the Selected and Master Levels and 18 at the Associate Level. The Michigan Main Street Program would like to invite you and your community to learn more about the benefits of this program by applying upcoming Associate Level trainings click here. Redevelopment Ready Communities ® (RRC) is a state-wide program that certifies communities who actively engage stakeholders to vision and plan for the future. An RRC certification signals to business owners, developers and investors that the community has removed development barriers by building deliberate, fair and consistent processes. Certified Redevelopment Ready Communities® attract investment to create thriving places where people want to live, work and play. Developed by experts in the public and private sector, the RRC Best Practices are the standard for evaluation. Each best practice addresses key elements of community and economic development, nurturing the potential of a community to meet the unique needs of businesses and residents. Click here to review RRC program details and begin your community’s self-evaluation. NLEA’s Team of Economic Development Specialists can assist communities in finding the most effective approach to meet their needs. To learn more about our services and full range of community development solutions, please contact us at 231-582-6482, or by email.